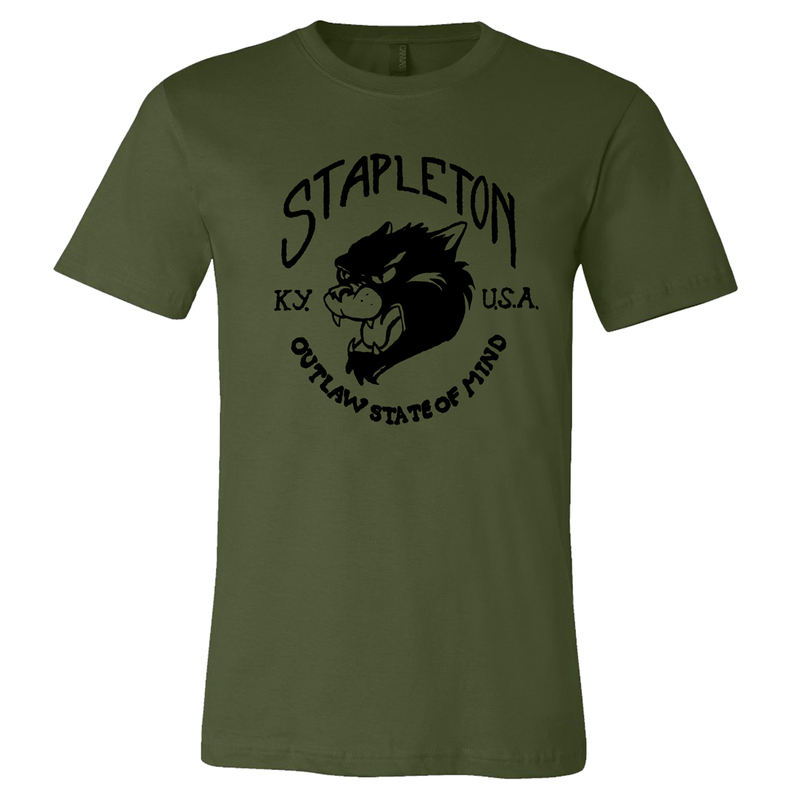 100% cotton olive-colored tee with Chris Stapleton cougar print. I got this shirt for my husband for Valentines day to go along with the concert tickets i got him! It is a very nice and soft shirt that is true to size!